Ballantine Books, New York, 2013. 197 pages. 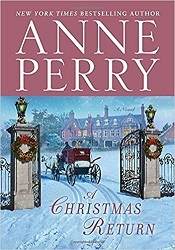 I do love Anne Perry’s Christmas mysteries. I caught the latest a few days after Christmas, but still in time for a good holiday adventure. A Christmas Hope is set in the same world as her William Monk series (which I haven’t gotten around to reading yet), featuring a woman who works at the clinic with Mrs. Monk. Claudine doesn’t prolong the conversation and goes back inside and does her duty at the party. But then the party is interrupted by a young man with blood on his clothes. He comes in from the terrace, saying that Tregarron attacked a young woman and the young man and his two friends tried to stop him. The young woman dies, and the police are looking for Tregarron. Claudine can’t quite bring herself to believe that the gentlemanly poet would be so violent. But what business does she have interfering in such a mystery? 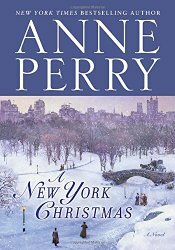 I like all the variation in Anne Perry’s Christmas mysteries. No two are quite the same, but they all present a good puzzle, and people who want to do the right thing. They all have an uplifting theme, perfect for Christmas. 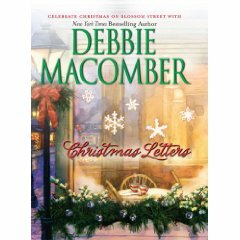 I read one more Christmas mystery for the holidays, and found it charming and uplifting. Lori Willis is getting ready to celebrate a lavish Christmas now that she has inherited a cottage in England. Aunt Dimity, who left her the cottage, never actually left, and still communicates with Lori by writing in a journal, and helps her solve mysteries. 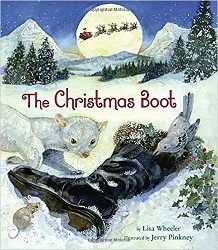 Their Christmas mystery hits when a tramp collapses in the snowy lane outside their house. He’s alive, but in a coma in the hospital. Who is he, and why was he going to their house? Perhaps he knew Aunt Dimity? When Lori visits the stranger in the hospital, she’s haunted by his face. Then she hears more and more stories of good things he has done. But some other things were very eccentric? Is he perhaps a mental patient? Or an angel in disguise? Between these investigations, her husband going to a funeral in Boston, and her father-in-law playing Joseph in the Christmas pageant, Lori’s Christmas turns out nothing like she planned, but truly memorable still. A pleasant story with interesting characters that will put you in the mood for Christmas. Bantam Books, 2005. 274 pages. Here’s another Christmas story. Oddly enough, I tried to read this book last year, and simply couldn’t get interested. It felt predictable and sentimental. 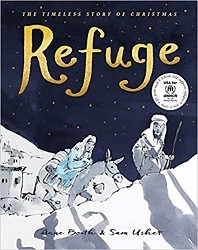 This year, I picked it up, read past the beginning, and found it sweet, poignant and even unexpected. Christopher Byrne is a Christmas tree farmer from Nova Scotia. Every year, he sells his stock, commanding high prices, in New York City. Last year, however, his 16-year-old son, Danny, decided to stay in New York City instead of coming back home. This year, Christy and his young daughter Bridget want nothing more than to find Danny. Meanwhile, librarian Catherine Tierney lives near the Christmas tree lot, but has a hard time with Christmas. Three years ago, she lost her beloved husband to melanoma right at Christmastime. However, Catherine tries to help people in memory of Brian, and all year a certain homeless boy has been wanting access to the private library she tends. Yes, Christy and Catherine’s lives intertwine. Yes, this story is about waking up to romance and about Christmas miracles. The story is very nicely done. I found that once I was in the right mood for it, I was treated to a heartwarming holiday tale.